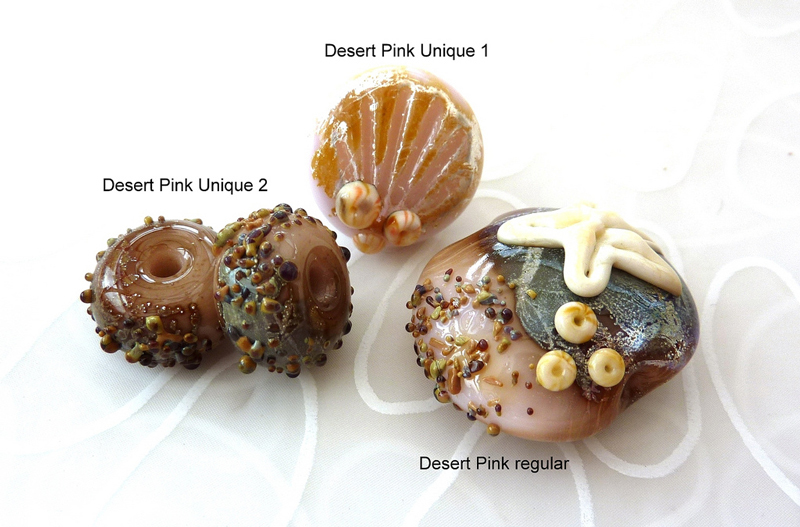 Click here for other interesting Desert Pink -2 discoveries. 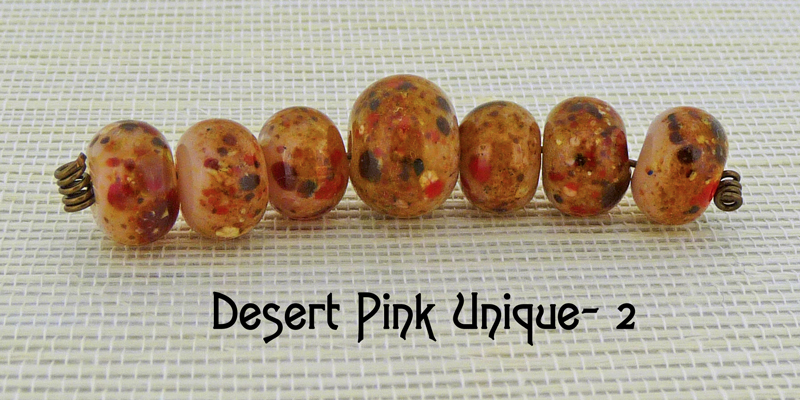 Messy Unique Desert Pink -2; see how Genea used these beads at her blog. 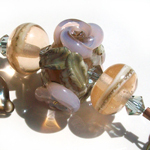 "The colour of Desert Pink Unique #2 is a little warmer and a little darker than regular Desert Pink. 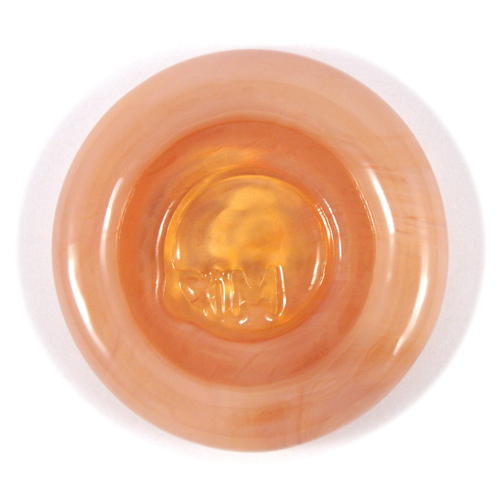 In a thin layer, Desert Pink #2 is very translucent." Read more at Melanie's blog. Messy Unique Desert Pink comparison; read more at DragonJools blog. 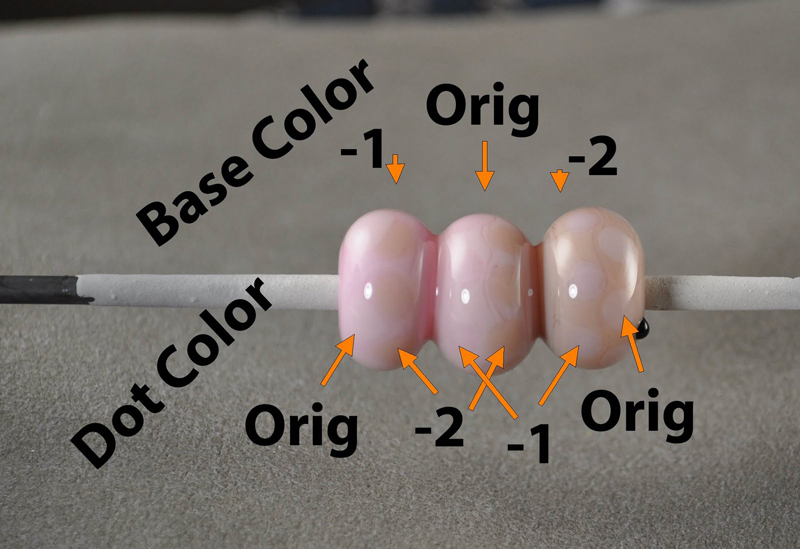 "Regular and Unique -2 have been wrapped with a little silver foil and reacted really deeply - similar to Effetre Tongue Pink. I used silver leaf with Unique -1 and it stayed much pinker."